Rose gold has become a very popular material being used in fine jewelry. 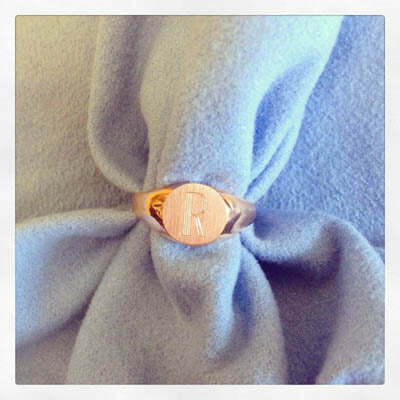 Clients are requesting signet rings in rose gold more and more. We can manufacture almost any signet ring we carry in rose gold. Some clients prefer the color of rose gold on their skin tone and I really understand why. It just complements their skin tone. From what I can see, it’s very rare to find solid 14kt rose gold signet rings. A lot of rose gold signet rings I see on the market are actually just plated rose. The problem with a plated ring is it will wear and come off and you will end up with a ring with the plating worn off. Our rose gold signet rings are not plated and are true 14kt gold (585). 585 stands for a minimum of 58.5% pure gold mixed with copper and other alloys to make the ring look rose. The mixture of pure gold and copper is what makes these signet rings rose gold or pink gold. Because our rings are true rose gold and not plated, the ring can always be polished or professionally cleaned to remove minor nicks and scratches. At deBebians.com, we offer a Lifetime Warranty and Maintenance on all our signet rings. Please click here to view our selection of signet rings for women.